Simply head on over to our website https://www.lix.com and click “Log in” in the top right corner of the frontpage. To sign in, you have to log in with what you created your account with. If you created your account using facebook, then choose “Log in with Facebook” if you created your account with email then click on “Log in with email”. 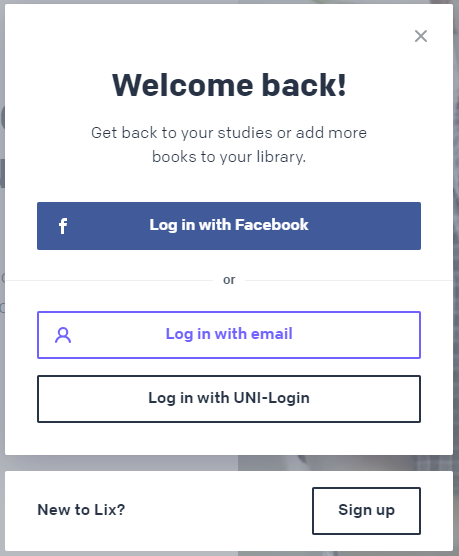 UNI-Login is only for Gymportalen-users.